As you walk out through the doors of the Grand Hotel Malher, you are at the heart of a quarter steeped in history which today simmers in an exciting atmosphere of antique dealers, art galleries, fashion and fashionable boutiques, restaurants, typical bars and colorful markets. 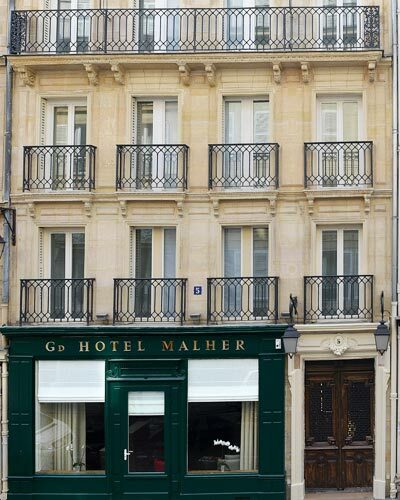 This is why we set out to mold the Grand Hôtel Malher in the image of the Marais quarter, i.e. one-of-a-kind and full of character. We will be delighted to welcome you every time you stay in Paris. And we will make sure you remember the time spent with us a very special occasion.